When it comes to Pinterest, or social media in general, the big brands have it easy. Since they are already household names, gaining thousands or even millions of followers is simple. For small businesses, this is a completely different story. Small businesses have fewer people actively seeking them out, so gaining followers is tricky. That’s why using the right techniques is so important – if you can lure them in, people who otherwise wouldn’t have known about your business can discover you and connect with your brand. It is here where the big brands can help out small businesses. With followers flocking in, they have to work hard on engagement to keep their followers connected. They therefore put in great time, effort and money to develop strategies – some which pan out, and some which don’t. By paying attention to what works for big brands, you can put their proven Pinterest strategies to work for your own small business. Before we move on to talk about the strategies that the big brands are using, you may first wonder if Pinterest is right for you in the first place. Many people see Pinterest as a social media site full of recipes, wedding dresses and crafts – but really, Pinterest is a great tool for ANY business that wants to create a collection of ideas that teach and entertain while also promote products or services. Also, your business may already be on Pinterest anyway, and if it is, that’s a cue that you need to step in with your official account. So how can you be on Pinterest without you knowing it? Well your presence is the result of other people sharing your website links and pictures. You can check to see if anyone’s pinned you by customizing this general URL: http://www.pinterest.com/source/YOUR-URL (without the http://www in your URL). For example, we looked at Smart Hustle Magazine’s sister company, Smallbiztechnology.com: http://www.pinterest.com/source/smallbiztechnology.com/ . That site doesn’t use Pinterest as a means of sharing content, but as you can see, MANY people are pinning items from the site and sharing it with their followers. This isn’t exactly the topic you’d pair with Pinterest, so it proves the point that there is room on Pinterest for ANY small business. Okay, so now that you’re on board with the importance of getting a Pinterest account, let’s look at the successful Pinterest strategies that big businesses are using. Use colorful, detailed images and pictures of unique things – the kind of stuff that will catch a Pinterest-lover’s eye, regardless of the topic. Research the most popular topics in your area and create boards for them. This is what people are searching for anyway, so why not give them what they want. You can also use general boards to capture what’s hot for the moment. For example, Sephora’s Pinterest page has boards such as “Trending Now” and “Pro Tips” which allows them to post many different items and create an eclectic board. Use boards to educate your followers. The focus shouldn’t be completely on displaying and promoting your products or services – you should also try to add value for the reader/viewer. Use boards that tell your followers what your brand is about. Every board should be able to capture your business’ personality, values and spirit. In capturing your brand’s personality on Pinterest, don’t be afraid to go ‘off topic’ a little. For example, in addition to their food- and recipe-related boards, the organic yogurt brand Chobani has a board called “How Matters” that is filled with motivational quotes that relate to the brand’s message. As you can see, the big brands are using Pinterest to tell their story and engage with customers, not just trying sell their products. They create a range of boards, and within each board you’ll find a diverse assortment of pins. Their boards and pins also connect with the follower on a personal, emotional, or educational level to add value while at the same time marketing their products and services. These same strategies can work for small business owners too. So what are you waiting for? It’s time to get to work developing the perfect Pinterest page for your business. 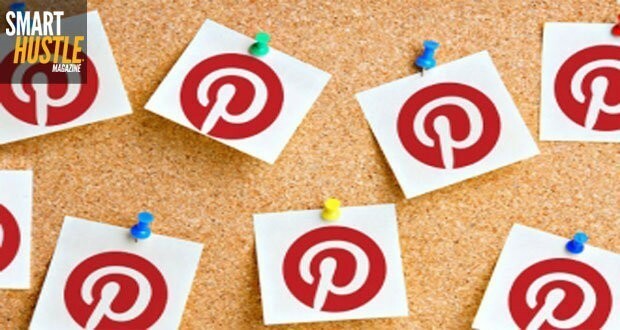 Are you using Pinterest to market your small business and products or services? Share the link below and your story of how you’ve found success with Pinterest.